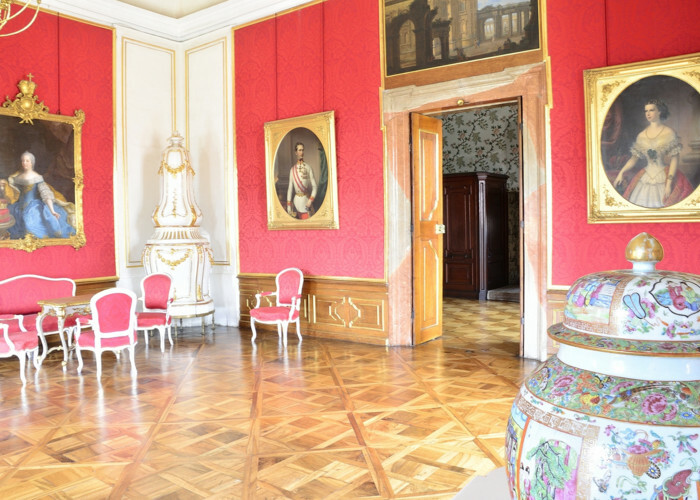 A guide, taking fifty minutes or so, takes you through more than twenty rooms representing the former residence of the princes of Liechtenstein: one of the three richest families in the Austro-Hungarian Monarchy. In 1790, the most recent building of the Valtice Castle was opened on the occasion of the Kaiser Leopold II visit: it was the late-Baroque theatre. In the forties and fifties of the 20th century, the theatre was damaged: first through the war, and then later on through insensitive modifications during the Communist era. The Baroque castle chapel, which is one of the most beautiful chapels in the territory of current Moravia, was built between 1726 and 1729. 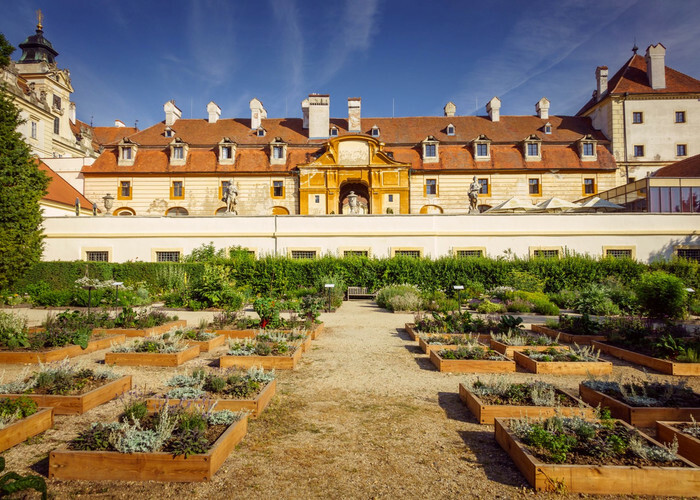 A unique herb garden located close to the Valtice Castle on the site of the former castle garden. 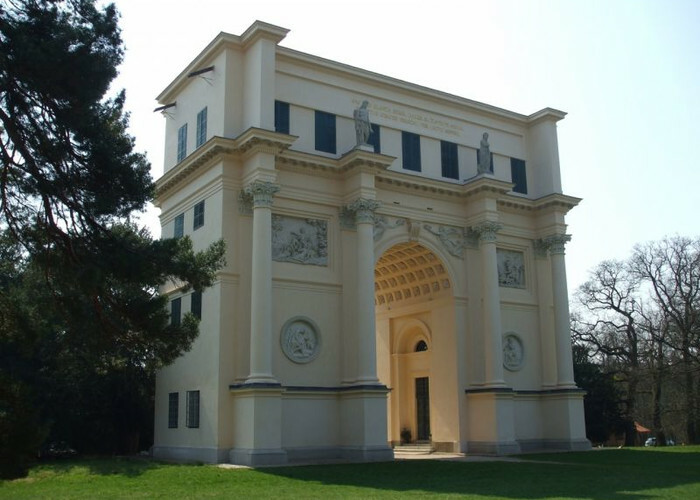 Diana´s Temple was designed by architect Josef Hardtmuth for the prince Jan I. This voluptuary building is also known as Rendez-vous probably because it was used as a meeting place and facilities for hunters before hunting. Diana´s Temple is located near Valtice on the left of the road to Poštorná. The architect Josef Poppelack managed the construction work from 1810-1813. 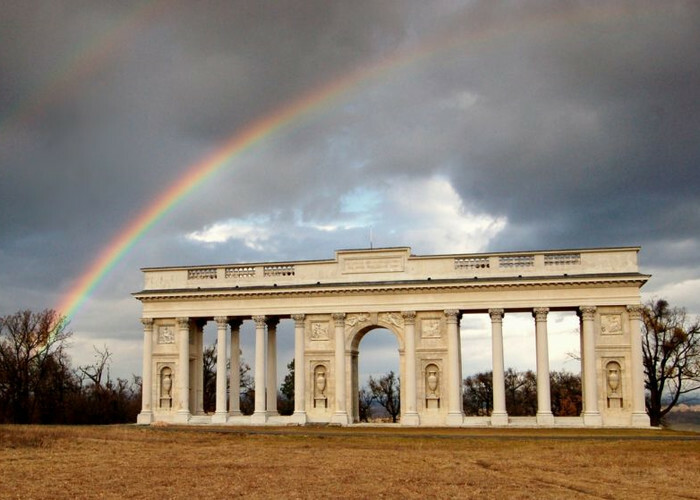 The magnificent monument is situated on a hill near Valtice and offers a great view of the entire Lednice-Valtice Area from its terrace. Wine Salon - the national wine competition of the Czech Republic is the final competition in the system of the National wine competition. In this competition, the best wine is awarded the title of "Champion", then there is the category called "Winners", and the category called "The Best Collection". One hundred of the best wines in the competition are awarded the gold medal of The Wine Salon of the Czech Republic. 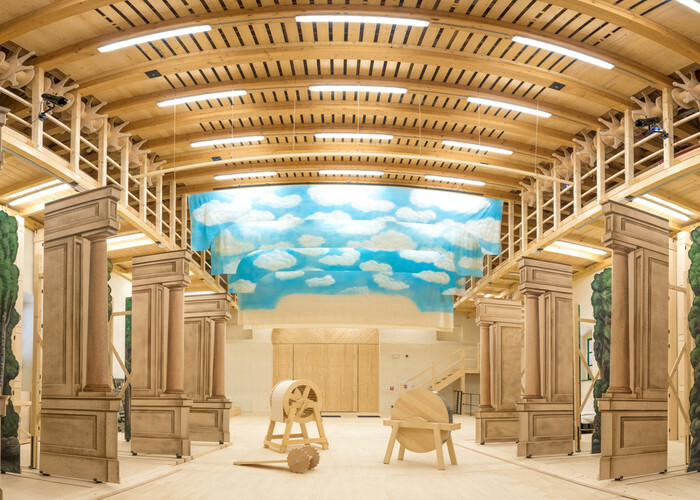 The competition is followed by the opening of the wine-tasting Wine Salon that is open to the public all year round showcasing the best one hundred wines located in the cellarage of the Valtice Castle. Coach tours through the castle park - ARKADIE Nový Dvůr s. r. o. 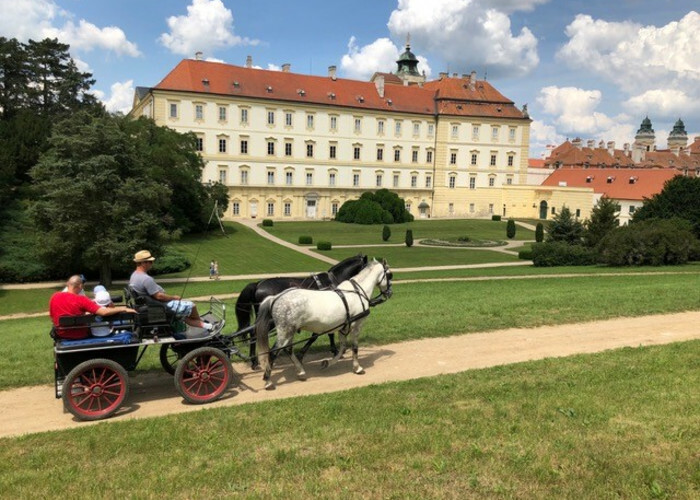 You can choose from two possible coach tour routes in Valtice, either a tour within Valtice, or a sightseeing tour through the Lednice-Valtice Area. Castle cellar - Wine Cellars of Valtice, a.s. 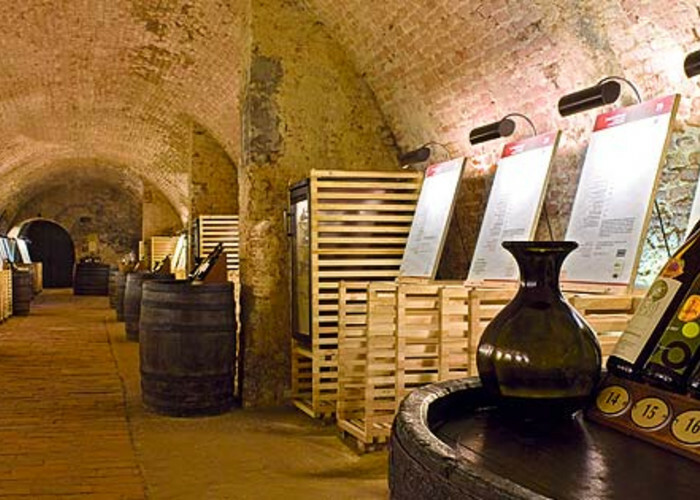 The unique Castle cellar from 1430 is one of the oldest and largest wine cellars in the Czech Republic. 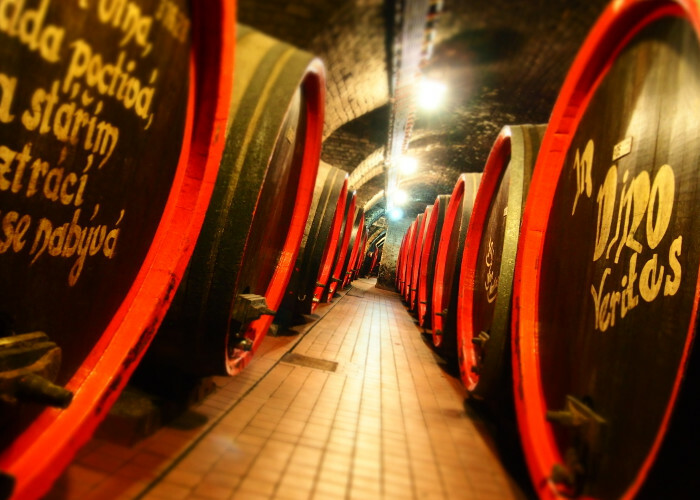 For centuries, the best wines from the oldest winery of the Lednice-Valtice Area - CHÂTEAU VALTICE - Wine Cellars of Valtice, a. s. have been maturing here in huge oak barrels. 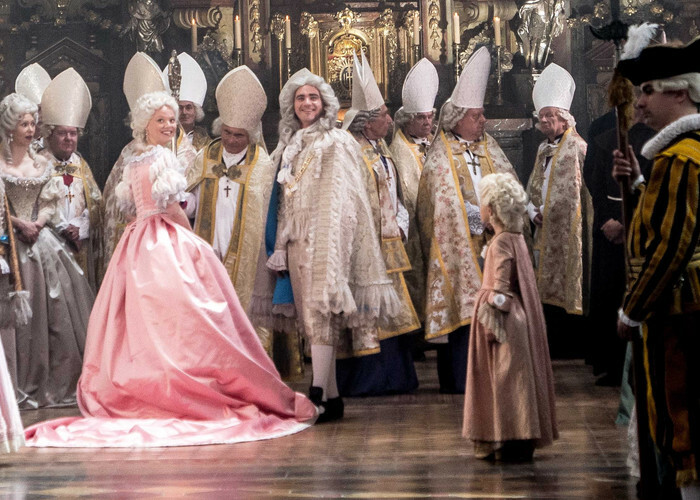 Stunning costumes exhibition of epic co-production of Maria Theresia in the courtyard of the castle Valtice. 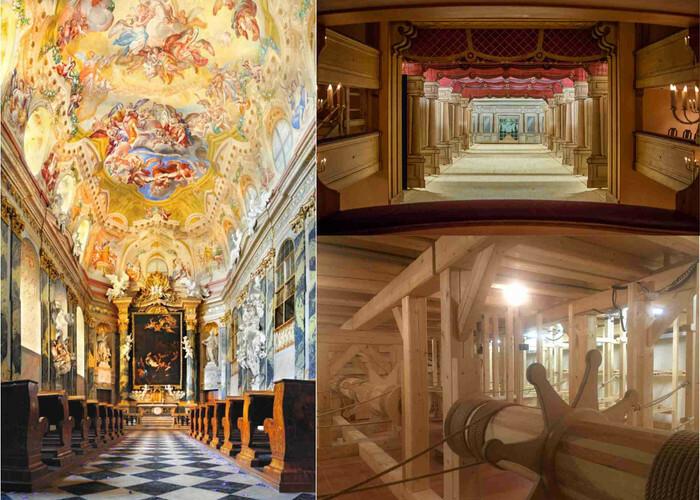 Popular winter tours of castle chapel and theater! Every Saturday in February and March, beginning at 14.00 or 15.30.